Bayberry candles hold a special place in American history. Early American settlers relied on tallow (rendered animal fat) candles for most of their lighting needs. They soon learned to extract wax from the wild bayberry bushes of New England, molding it into clean-burning, smokeless candles with naturally beautiful fragrance. Fifteen pounds of bayberries were needed to produce one pound of wax, so many communities enacted regulations to protect the bayberry crop. The candles became luxury items reserved for holidays and special occasions. Legend says that a bayberry candle burned through midnight on Christmas Eve or new Year's Eve will bring luck and prosperity to the household in the new year. Bayberry candles continue to hold a festive role in holiday traditions. 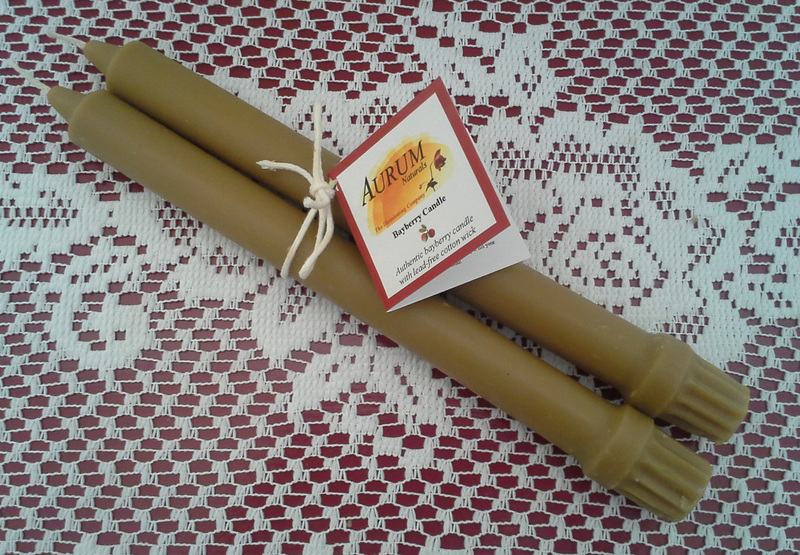 Aurum Naturals authentic bayberry candles are handmade from a blend of American-harvested bayberry and beeswax (to prevent brittleness), with a 100% cotton wick. Do not be fooled by most "bayberry" candles that are made from paraffin with artificial fragrance! These candles are the real deal. 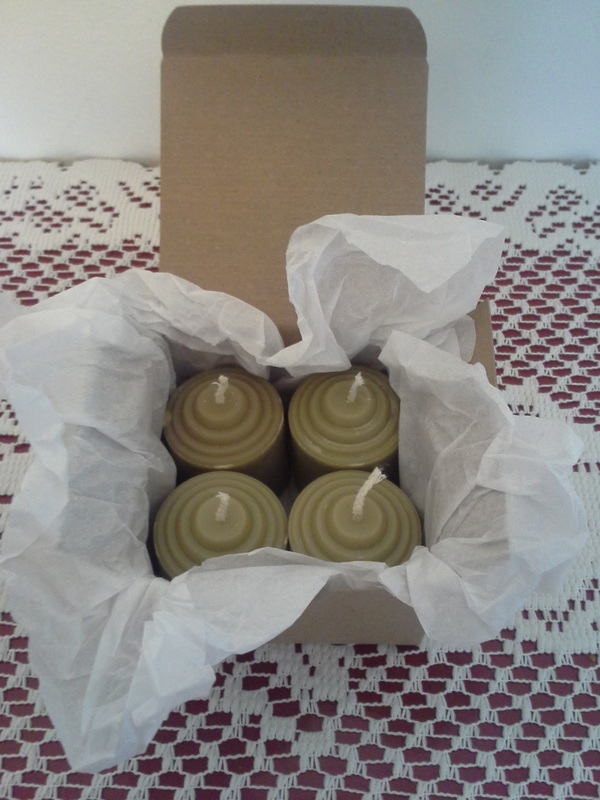 Each candle includes a hang-tag with The Bayberry Candle Poem and historical information.